Jodi Kantor, former Slate editor, recalls her favorite Slate piece from the early days of the magazine. A New York Times correspondent remembers her time at Slate. Since our founding in 1996 (1996! ), Slate has published tens of thousands of articles. We’ve asked a group of former Slate-sters to direct you to pieces they remember fondly from their time at the magazine. 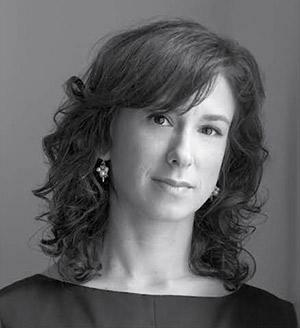 From 1999 to 2003, Jodi Kantor worked at Slate, eventually becoming the magazine’s New York editor. Jodi is now a New York Times correspondent, and the author of The Obamas, about the relationship between Barack and Michelle Obama. You can listen to Slate’s John Dickerson and Emily Bazelon interview Jodi about the book in this episode of the Political Gabfest. Little I’ve done in journalism has matched editing the Slate Diary for sheer creative fun. The Diary was one of the original Slate features, in which we asked a different person each week to keep a five-day journal of his or her life, posting daily. (This was before anyone knew what a blog was.) Benazir Bhutto, Karenna Gore Schiff, Michael Lewis, and Roger Ebert participated, but so did a firefighter, a middle school principal, and Lucas Miller, an NYPD Detective. Here is Luke’s diary, a beautifully written glimpse into the life of a cop. Luke has been promoted now—he’s running a detective squad—but don’t worry, I am lobbying him to get back to writing.